There are many older homes in Denver that have beautiful brick exteriors. Over time, the bricks can become damaged and in need of repair. The brick repair needed should not be done by an inexperienced handy man or laborer. Instead, a person or company experienced and knowledgeable in brick masonry and tuckpointing is required. Why Repair Your Denver Home’s Brick? Most older stone, brick and masonry on older Denver homes walls can be damaged by water and frost-freeze cycles. The original mortar used to construct the home were most likely a soft lime and sand mix. This mix was strong enough to last for many years, but after 70+ years of facing the elements of Denver, the brick may be in need of major repair to keep the walls from completely crumbling. When the mortar starts to crumble and cracks and crevices form, water is allowed to get past the brick and into the wall. This can cause major damage to not only the brick, but your home’s exterior and wall structure. Keeping your brick well maintained is critical to keep your house in a good structural condition. Tuckpointing is a process in which you repair the brick by first removing the existing mortar from the damaged joint and the “tuck” the new mortar into the joint. It is a specialized skill and should only be performed by experienced and knowledgeable masonry professionals. Tuckpointing is required when your brick joints have begun to crumble, disintegrate or flake. Alpine Companies has been repairing, tuckpointing and restoring brick Denver Colorado for almost 50 years. If the brick on your Denver home is in need of repair, give us a call at 303-797-8908 or contact us. This is another perfect example of a client wanting to lower their basement floor 24″. At first most homeowners would love to get more head height in their basement, so digging it down seems easy. Not so, typically the foundation of the home stops right where the original builder poured the new concrete floor. As you can see in the picture the floor was just above the dirt line. Now that we have the floor out you can see the tricky part, we have to extend the foundation walls down just as deep as the basement dig out. This turns the project into some serious structural engineering step to move forward. Alpine Companies has been doing concrete basement floor dig outs and crawl space to basement conversions here in Denver for almost 50 years. With Alpine you get the very best. Excavation, new concrete foundation walls installed with a new concrete basement floor, nothing left for you to do but enjoy. Is your home feeling smaller? Are you running out of storage room? Do you need to expand your home office? Many homeowners face these questions and more but what is the best solution to this dilemma? Finishing your basement is the best way to solve this problem. Finishing your basement is not only a good investment that can increase the value of your home; it can also help reduce your energy costs. An unfinished basement is a clean slate. Your basement can be transformed into the room of your dreams. Some examples would be family room, media room, kids playroom, gym, home office, man cave, wine cellar, etc. In addition, finishing your basement is a cost-effective way to increase your living space. Compared to the expense and hassle of building an addition, finishing your basement is a great value. Some study’s state that the average cost per square foot to finish a basement is less than half that to put on an addition. Fisnihing a basement can present many challenges such as crawl space dig outs, mold and mildew, foundation repair, utility and plumbing relocation, just to name a few. Alpine Companies has been finishing basements for over 50 years in the Denver area and has the expertise and experience to do the job right. Give us a call and one of our team members can discuss with you transforming that unfinished basement into the room of your dreams. 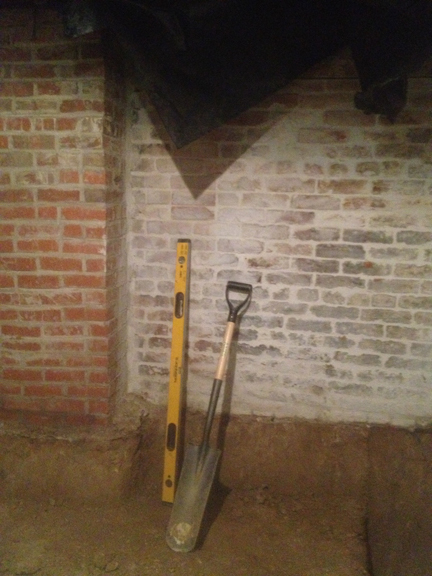 Basement excavation is a great way to add more usable space to an existing basement, both horizontally and vertically. However, before the big dig starts, there are many issues to think about. Stairs: Are they wide enough? Will it be easy to get furniture in and out. Drainage: Often a separate sump pump with floor drainage system is the best. What is the water level in the area ? Is the soil sloping away fr0m the foundation? Are sprinkler systems pointing away from the home? Flooring: What flooring and padding will work best? HVAC: There will need to be a system that has enough supplies and returns. Basements are going to be cooler, so ensure they are not taken for granted. Utility Rooms: Be sure there is make up air and combustion air. They are going to make noise, so provide a sound barrier near media rooms and bedrooms. Lighting: Adequate lighting is a must, to avoid the space feeling closed in. Foundations: Are they in good shape? We look for cracking, shifting, signs of water leaking, and crumbling or any other signs of deterioration. These require special considerations for structural integrity. Alpine Companies has been the pioneers in basement conversions in Colorado for almost 50 years, as well as leaders in the basement excavation service. The reason Alpine Companies services are chosen by most clients is that we have an extensive background in foundation repair here in Denver Colorado. Your home is the biggest investment of your life; trust a company with many years of experience like Alpine Companies to protect your investment. Does your home have a crawl space? Have you always dreamed of taking that damp, cramped, useless crawl space and turning it into a full basement – complete with lots of extra living and storage area? 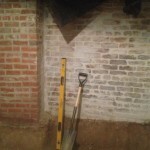 Alpine companies can help with our crawl space to basement conversions. Here are the cold, hard facts when it comes to not having a basement. Homes without basements sell for far less than those with a basement. Crawl spaces are much smaller than basements and are often exposed to the elements, thus making them almost useless for storage. Crawl spaces can attract mold, mildew and pests. Only a basement can offer increased living space in your home. Converting your crawl space into a basement may increase the value of your home by 25% or more! Alpine Companies starts by digging out the crawl space area to the point where it’s big enough to make a full basement. Then, we add walls and a floor and can finish the basement according to your specifications. Remember, dig outs and conversions are complicated and must be done by a professional. Alpine has been doing crawl space conversions for decades and you can rely on us to convert your crawl space in a professional and timely manner. So if you have been wanting a new home office, exercise room, kids playroom or just more storage space, call Alpine and let us make your dreams a reality.